PATA AJIRA HARAKA! INSTALL APP YETU - AjiraLeo Tanzania. BONYEZA HAPA! 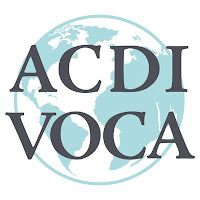 Overview: ACDI/VOCA is currently seeking a Volunteer in Organic Fertilizer, Pesticide and Seed Development for an upcoming Service Learning Corps Assignment in Tanzania. Rogimwa Agro Company Limited is requesting volunteer assistance to develop organic agricultural inputs that they will then sell to local farmers. The volunteer will aslo help develop branding for the company's products. This assignment will last for three months. -Graduate/Ph.D. student or recent graduate in Agronomy, Soil Science or other related program. -The volunteer should be prepared to live in rural communities. -Previous experience working in Africa is preferred but not required.